Roof Coating in Texarkana, TX | Are Roof Coatings Worth It? Our Team Can Quickly and Expertly Apply Your Next Roof Coating. A commercial roof represents a major investment. In order to get optimal service from a roof, you’ll need to schedule regular maintenance and take care of repair needs as soon as they appear. Eventually, however, every commercial roof material, from modified bitumen and built up roofing, to TPO membranes and standing seam metal, will begin to break down. Once this begins, responsible structure owners will immediately begin to explore their options for replacement. While engaged with this research, don’t forget about the range of benefits provided through a quality roof coating. Roof coatings apply directly on top of a damaged, deteriorating, or aged roof to address minor repair needs and extend the roofing’s life. A properly applied roof coating can actually extend the life of a roof by 10 years. When the roof coating begins to break down, you can simply re-apply it to gain another decade of service. Of course, all this depends on the current state of your roofing, and whether it has deteriorated past the point of revival. If your commercial structure is located in or around Texarkana, TX, make sure to contact R.B.T Construction Roofing Division before you invest in a major project like roof replacement. We can quickly inspect your roof and determine whether it can support one of our roof coatings. If it can, you will save a great deal of money, and not have to experience the hassle of roofing removal, disposal, and roofing installation. Instead, you can sit back, relax, and think of all the money you’ve saved. 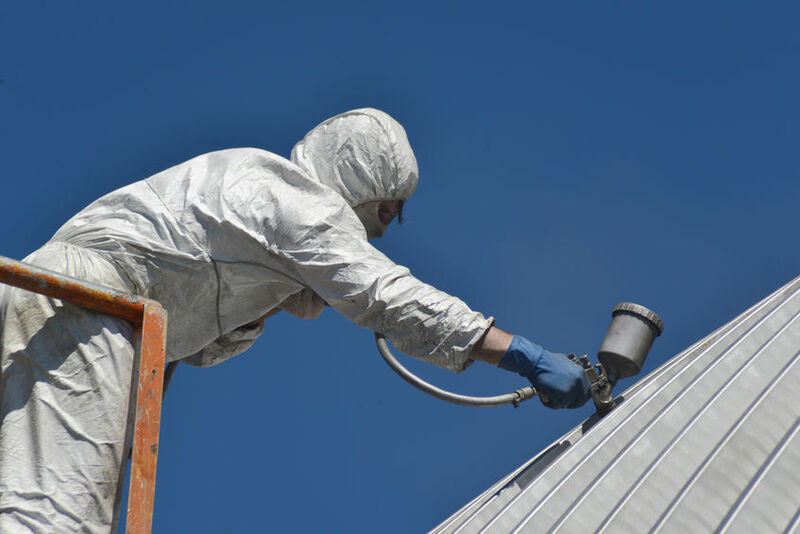 As the leading source for any roof coating in Texarkana, TX, we perform rapid, thorough, and efficient operations that will not disrupt your normal flow of business. To learn more or schedule service, reach out to our team today at 903-691-0931. Flat roof coatings for commercial structures provide a great range of benefits. Once upon a time, roofers would apply tar as a primitive type of roof coating. While this achieved the goal of water resistance, the tar emitted toxic fumes and needed periodic replacement. Today’s roof coatings are highly advanced products that manufacturers continually refine and improve. In addition to the repair of minor damages and general protection of the existing roof system, modern roof coatings come with a range of benefits. They also install and cure quickly, and have selective traits that differentiate them from one another. In order for a roof coating to provide benefits, it cannot be installed once the roof deteriorates past a certain point. Since a roof coating exists as a thin, membrane-like material, it cannot serve a roof that has major damages, including holes or significant ponding. If your roof has merely the normal signs of old age, including scratches, small punctures from hail impacts, minor leaks, etc., a roof coating can save you between 50 and 70 percent off the cost of roof replacement. Unlike a roof replacement, coatings install quickly with little to no disruption. You can also benefit the environment through your selection of a roof coating, as you avert the need to remove your old roof and toss it into the dump. The key to the timely application of a coating is this: it should serve as a preventative measure, not as repairs. A roof coating can prevent the decline of an old roof, but it cannot fix a roof that has major problems. This is why we ask commercial structure owners to schedule inspections for the viability of a roof coating. While a coating can prevent roof failure, it cannot serve to reverse its effects. In addition to its service in the rejuvenation of old roofs, roof coatings can also benefit new roofs. If you’ve just invested in a brand-new roof, a roof coating can both improve its beneficial characteristics, and protect it from harm. The reflective properties of a roof coating make them especially beneficial for new structures, as they leave the interior more comfortable, and reduce the workload on your air conditioners. A Worn-Out Roof with Everyday Damages Like Abrasions and Punctures Can Benefit from a Roofing Coat. The type of roof coating you choose is highly dependent on a range of factors. In most cases, it can help to have the professional opinion of an expert coating installer. Clients who work with R.B.T Construction Roofing Division, receive the full benefits of our expertise and advice. We encourage our clients to consider a few different factors before they settle on a coating. Roof Condition: As mentioned earlier, the condition of your roof determines whether you can install a coating or not. If your roof does not have structural soundness, you will need to spring for a replacement. Location: Certain coatings do better in different locations. For example, acrylics work wonders in dry climates, while silicone represents the ideal choice for humid or wet climates. Ponding Water: Ponding water on your roof will disqualify many roof coatings. Acrylics, for example, will simply deteriorate. Silicone, on the other hand, can resist the effects of ponding water to offer premier protection against leaks. Hazards: If your building exists in an area with environmental hazards like high temperatures and direct UV radiation exposure, or airborne chemicals and acid rain, you’ll need to choose a coating that can offer resistance to these threats. For information on the positive qualities of roof coatings, or for help deciphering the factors of your choice, trust in the team at R.B.T Construction Roofing Division. A commercial structure has many choices when it comes to roof coatings. However, the most common choices include acrylic coatings, polyurethane, asphalt, and silicone. Acrylic Coatings: Manufacturers can customize an acrylic coating for your specific roof type. Acrylics provide unparalleled protection from UV radiation, and come in a range of colors. Polyurethane Coatings: These solvent-based coatings offer premier durability, along with resistance to abrasions and impacts. They make for an excellent choice in areas prone to hail, or for roofs that sustain regular foot traffic. Silicone Coatings: These coatings have high UV-resistance and unmatched resistance to ponding, rainfall, and leaks. If your structure exists in an area with frequent storms, choose silicone. Asphalt Coatings: These solvent-based coatings are excellent for colder climates and areas with frequently inclement weather. 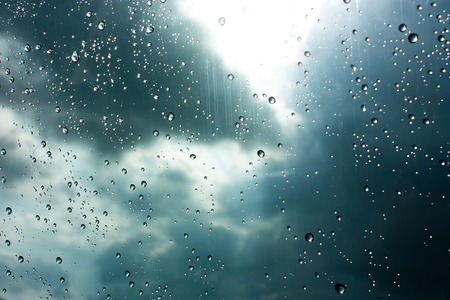 Like silicone, these coatings can resist water, and will even continue to cure in the event of a sudden storm. When It Comes to Rainfall Resistance, You Can’t Beat a Silicone Roof Coating. As specialists on the natures of roof coatings, along with their application methods, we encounter a range of common questions. We always offer clear, honest answers to the questions of our clients, and do our best to keep everyone informed. For questions that do not appear below, feel free to give us a call at 903-691-0931. Roof coatings provide a host of benefits to a commercial structure. In addition to prolonging the life of a deteriorated or otherwise compromised roof, roof coatings provide cool roof properties in their reflection of sunlight. They also repair minor damages and fill leaks, and have themselves a great deal of resistance to leaks. The reflective properties of roof coatings can save you a great deal of money on your monthly utility bills. For example, if you have an HVAC that benefits from commercial air conditioning and commercial heating maintenance, the cool roof properties of your roof coating will resist the absorption of UV rays, and provide for a steadier interior temperature that reduces the workload on your HVAC. How Long Does Roof Sealant Take to Dry? This depends on the type of coating, along with many environmental factors. High winds, humidity, air temperature, and roof temperature can all impact the drying or curing process. While it’s impossible to be precise without a consideration of the above factors, roof coatings average from eight to 24 hours to fully dry or cure. Elastomeric roof coatings are flexible, tough, and rubberized to resist damage from impacts or windblown debris. They are also highly adaptive to extreme temperatures. In hot weather, these coatings reflect a great deal of UV radiation to keep your structure’s interior cool and reduce the workload on your AC. In hot or cold weather, an elastomeric coating can expand and contract up to 300 percent. Elastomeric coatings resist peeling and cracks, and are especially recommended for use on PVC roofing. PVC represents a highly popular choice for commercial roofing. Elastomeric coatings adhere perfectly to PVC to grant a roof improved durability, a longer life, and resistance to environmental hazards. Can You Spray Silicone Roof Coating? Yes, you can. 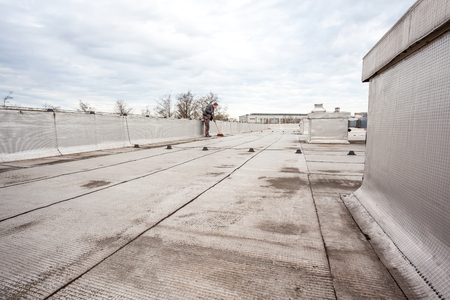 Spraying silicone onto a roof actually represents the preferred procedure, as it allows for a more uniform application. If you roll your silicone onto a roof, you risk the creation of under-applied and over-applied areas, both of which create problems. Spray application is also much faster then roll-on. What Is Silver Roof Coating? Silver roof coatings are actually a variant of an asphalt roof coating. They are created through the addition of aluminum flakes into an asphalt-based solvent. This creates a silvery, aluminum asphalt coating that offers exceptional protection from UV rays. They also represent the ideal choice for asphalt-based roofing materials. Generally speaking, there exist three primary reasons to apply a roof coating: to restore an old roof; protect a new roof; or change a roof’s color for improved reflectivity. At R.B.T Construction Roofing Division, we recommend the application of roof coatings for almost every commercial structure. To learn more about the benefits of a roof coating in Texarkana, TX, give us call today at 903-691-0931. Posted in Uncategorized on November 5, 2018 at 5:06 pm by R.B.T. Construction Roofing Division.